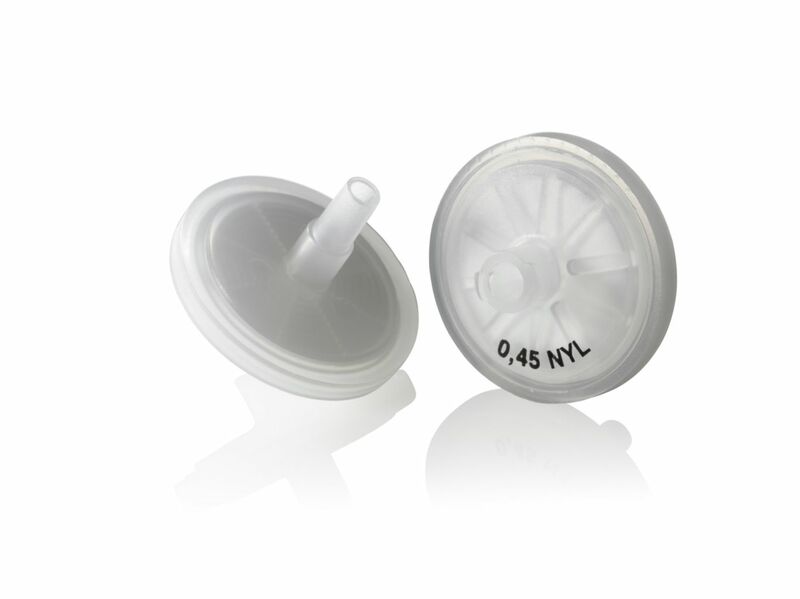 Whatman™ Uniflo™ syringe filters are well suited for rapid, routine syringe filtration of small volume samples up to 100 ml in laboratory sample preparation. 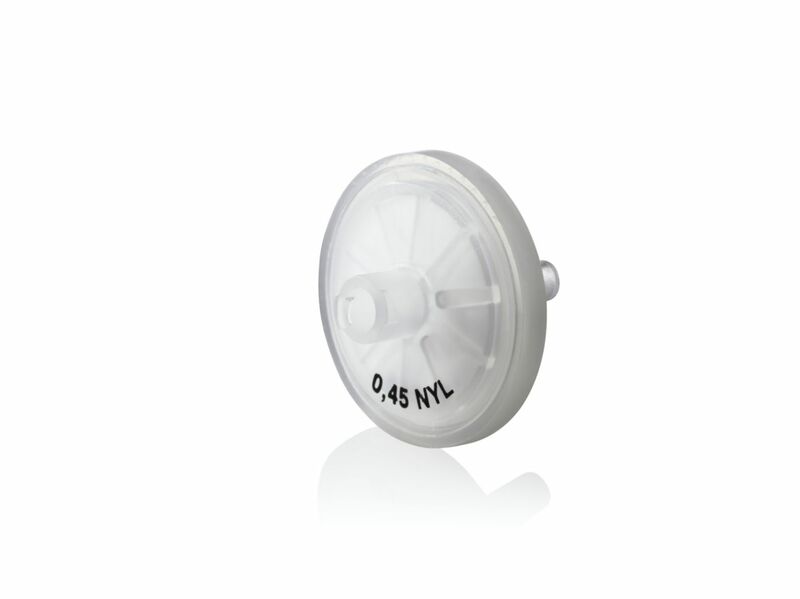 PVDF membranes are designed for high tensile strength, high solvent resistance, and low protein binding, making them suitable for biomedical filtration and HPLC sample preparation. Nylon membranes are hydrophilic and are a good choice for aqueous and aqueous-organic samples. The membrane offers good chemical resistance to most common HPLC solvents, however it has limited resistance to acids, bases, halogenated hydrocarbons, aldehydes and strong oxidising agents. The most common application is HPLC sample filtration. PTFE membrane filters are hydrophobic and will not allow water to pass without high pressures. Aqueous solutions may be filtered if the membrane is initially 'wetted' with alcohol or another appropriate solvent. PTFE membranes will stop aqueous aerosols in gas streams. Packaging: Packaged in clean resealable, recyclable plastic boxs to optimize laboratory storage space.